Dynamik Design is an architectural firm providing a full range of services from density studies to master planning, through conceptual design to construction documents and contract administration. 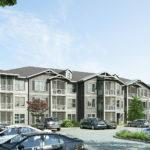 Our market expertise includes multifamily, retail, mixed use, hospitality, senior living, student housing and office. Leading the design effort, we become a dynamic component of the development team – bringing the flexibility, tenacity, energy, innovation and enthusiasm to get the job done on time and on budget, creating places that are functional, meaningful and well designed. Great projects require more than a brilliant design vision; they require a dynamic force to guide the vision from inception to completion. Our founding team is an impressive collection of talent and experience, hand selected to bring the energy and diversity of skills required to take care of our clients and drive projects to the finish line. We value each other and insist on maintaining a fun, supportive and collaborative environment because we truly believe that the whole of our team is far greater than the sum of its parts. Our greatest references are provided by the national base of clients represented within our portfolios of experience. Please feel free to contact us for a list of developers and contractors who will testify to our service, responsiveness, quality of work and ability to get the job done. David Yung founded Dynamik Design after 22 years of experience as a Principal, Design Architect and Project Manager. Clients have always appreciated his responsiveness and ability to drive projects to the finish line with a tenacious focus on design excellence, schedule and budget. David understands the development process and remains involved in projects from start to finish as a central dynamic force of the project team. His extensive portfolio includes multifamily, mixed use, retail, education, hospitality and office projects. He received a Bachelor of Architecture Degree from North Carolina State University and a Bachelor of Science Degree from Arizona State University. Widely traveled and multilingual, David has studied architecture all over the world. *These projects represent David’s personal experience while employed as Principal at The Preston Partnership. Dynamik Design did not design these projects. Yi Lo co-founded Dynamik Design after 15 years of experience managing a wide variety of retail, multifamily, office and mixed use projects. A masterful technician and patient leader, Yi skillfully navigates project teams through the planning, design and construction of complex developments ranging from tight urban sites with vertically integrated retail and multifamily, to master planned mixed use town centers. He received his Bachelor of Science degree and Master of Architecture from the Georgia Institute of Technology and has been a licensed architect since 2005. He has worked on a variety of project types including multifamily, laboratory, hospitality, retail and office with over 200 million dollars and 8 million SF of new and renovated project experience. *These projects represent Yi’s personal experience while employed as Associate at The Preston Partnership. Dynamik Design did not design these projects. Katy McNulty co-founded Dynamik Design after 15 years in the architectural industry in multiple marketing, administration and business development roles. A vibrant personality with a versatile background and broad understanding of multifamily and retail markets, she is focused on organizational leadership and client relationships. Katy continuously eyes development and market trends while being a champion for smart urban design. She is heavily involved in the collaborative visioning process, researching and consulting through the early design phases for each project to maximize design and market positioning opportunities for our clients. Her professional affiliations include the Urban Land Institute (ULI), International Council of Shopping Centers (ICSC), Society for Marketing Professional Services (SMPS) and Society for Design Administrators (SDA). Nitin Patel, one of Dynamik Design’s four founding members, wanted to continue his passion for architecture and the hospitality industry. After growing up in a family of hoteliers, Nitin became fascinated with hospitality design and development and was inspired to pursue a career in architecture. An ambitious and gifted technician, he is focused on design technology and the development of the architectural model. His personality and drive bring technical excellence and efficiency to each project. Nitin’s portfolio includes complex urban mixed use, hotel, multifamily and high rise projects. He obtained his Masters in Architecture with a concentration in Hospitality Design from the University of Las Vegas and moved to Atlanta after graduation to pursue his architectural career. *These projects represent Nitin’s experience while employed as Project Coordinator at The Preston Partnership. Dynamik Design did not design these projects. In order to create there must be a dynamic force. 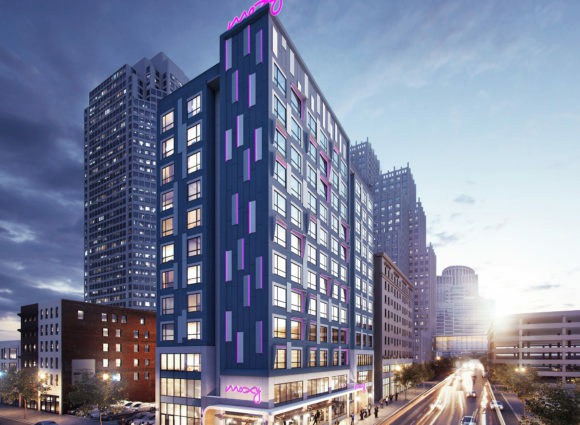 This spirited Moxy is designed to stand out and bring a fresh and playful boutique hotel experience to downtown St. Louis. The 12 story tower houses 152 keys of smart, flexible bedrooms and 5,800 SF of energized street level lobby and public amenity space. 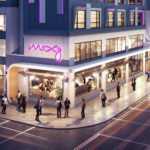 The socially focused streetscape is activated by a signature Moxy canopy design and bi-fold hangar doors that open up to integrate the bustling lounge into the action on the downtown streets. Located on a compact urban site, the tower is composed of 11 stories of load-bearing metal stud over a concrete cast-in-place podium with partial basement. 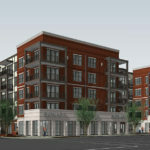 1230 Hendricks Avenue is an urban infill, mixed use project along an active, central corridor in the San Marco area of Jacksonville. 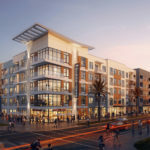 Designed to encourage walkability and bicycle access, this project provides a key connection near the growing medical center to the east and the shops and nightlife along Hendricks Avenue to the south. The 5-story wood-frame building houses 345 residential units and 5,000 square feet of street level retail. Residents enjoy multiple amenity options including an expansive fitness center, bike storage, pet spa, clubroom with gaming, lounging and remote work areas, spacious pool courtyard, lush garden courtyard, and views across the river to downtown Jacksonville from the rooftop pool and sky lounge topping the sixth level of the parking deck. Vue houses 271 residential units within The Quarter Upper Westside, a master planned, mixed use development in this burgeoning, eclectic northwest Atlanta neighborhood. 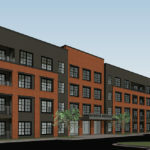 Three 4/5 story split buildings are designed to reflect the neighborhood’s industrial roots, with metal trim, large warehouse style windows and brick grid. The terracing slope of the site gives way to gorgeous views of the Atlanta skyline. Residents enjoy the comfort and convenience of a walkable community with 35,000 square feet of on-site dining, shopping and entertainment. The 7,000 SF clubroom and fitness area overlook an expansive 11,750 SF pool courtyard with lounge seating and an outdoor kitchen. Amenities include a dog spa, bark park and bike shop. 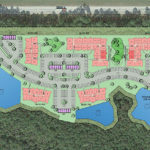 Site design anticipates direct connectivity to the future 6 mile paved trail extension that will link the Silver Comet Trail to the Atlanta Beltline. 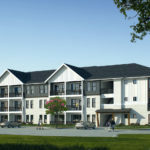 Harris Road Multifamily is a garden style apartment project located in the City of Fairburn. 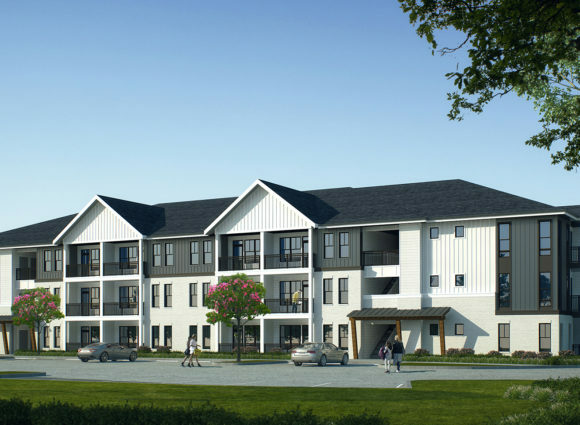 This 276 unit project is composed of three and four story residential buildings and two-story carriage homes, configured to invite resident interaction and convey a sense of community. One, two and three bedroom units range in size from 642 to 1454 SF. Designed to serve a growing population of aviation, medical and film industry professionals, Harris Road delivers an exceptional living experience. 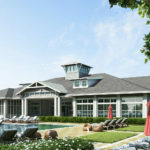 The clubhouse provides multiple options for work, play and socializing. The cyber lounge, conference room and micro offices offer residents ample remote work options, while the lounge and gaming areas contain seating groups for privacy or interaction. An expansive fitness center opens onto the resort-caliber pool courtyard with ample outdoor recreation space for lounging, and entertaining. The contemporary farmhouse inspired exterior is composed of painted white brick with juxtaposed horizontal and vertical siding. 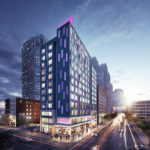 Tru by Hilton is the first phase in a two phase hospitality development. 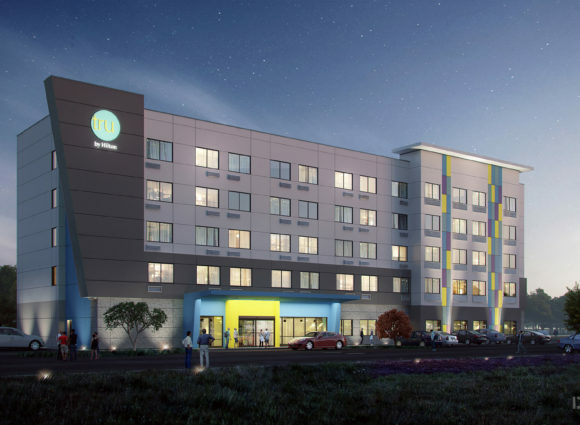 This hotel includes 97 hotel rooms in five stories of type IIIA wood construction on a 1.81 acres of a 3.18 acre parcel located in Fort Mill, South Carolina. Tru by Hilton features an open lobby area, 24/7 market, work space, game room, outdoor patio area and a contemporary fitness center. 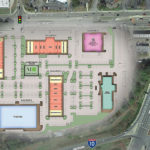 Surface parking provides 106 spaces. 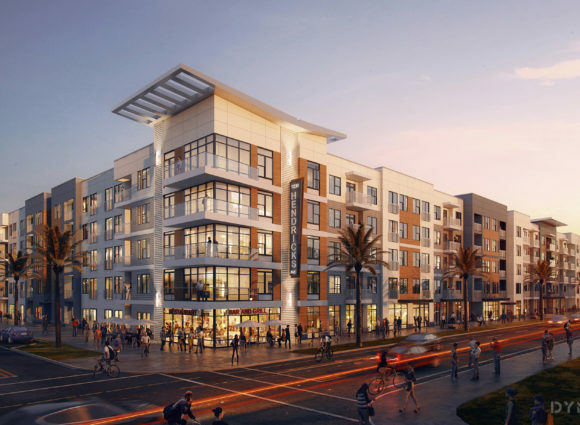 This redevelopment transforms an aging Tallahassee retail landmark into a revitalized shopping, dining and entertainment center. The redesign includes the demolition of one retail building to make way for a 40,000 SF signature movie theater. The three remaining buildings are treated to new exterior façades with updated signage and lighting. Outdoor dining areas, pedestrian enhancements and refreshed landscaping create an updated visitor experience and breathe new life into this retail destination. 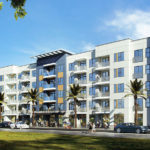 San Marco Crossing is a four story, 440 unit residential project that will be delivered in two phases. 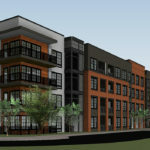 Bringing new life to an 8.09 acre brownfield site along the Phillips Highway Corridor, the residences will provide increased activity, walkability and connectivity to this redeveloping area. Inspired by the nearby railway, the clean contemporary exterior embodies subtle industrial tones using textural finishes and warehouse inspired fenestration. Residents will enjoy 7,000 SF of indoor amenity space and 24 hour fitness. Exterior amenities include two expansive courtyards with resort-style pools, outdoor recreation areas and park like gathering spaces. 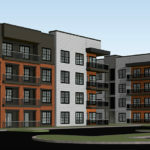 Parc at Pooler is a 280-unit multifamily community located 15 minutes from downtown Savannah, Georgia. Situated on 21.5 acres of landscaped, open green space with three large ponds, this garden-style community is designed to celebrate the low country lifestyle. Luxury 3-story buildings include elevators, conditioned corridors, upscale finishes, screened porches and generous sun rooms. 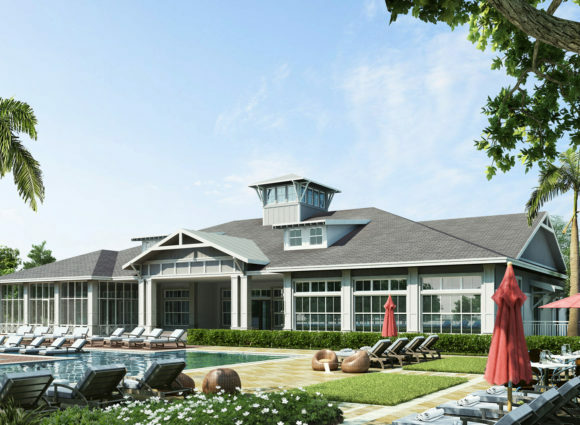 The 7,000 SF clubhouse overlooks an expansive pool with sun shelves, lounge seating, cabanas, a hammock oasis and an outdoor kitchen. Residents enjoy spacious clubroom areas, 24-hour fitness, a yoga room, multiple BBQ stations, a pet spa and a bark park. Parking is provided in 520 surface spaces and private bay garages. 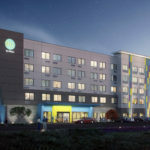 Located just outside of Nashville in Pleasant View, Tennessee, this Hampton Inn includes 92 hotel rooms on a 2.3 acre parcel. The hotel is four stories of wood frame construction with 1,300 SF of meeting space on the first floor. Approximately 101 surface parking spaces are provided to serve guests and employees. 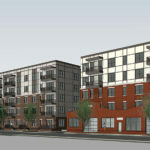 The Local is an urban infill mixed use project along East Main Street in NuLu, a vibrant, pedestrian friendly neighborhood in downtown Louisville. 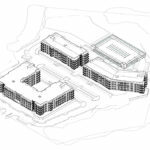 282 residential units and 8,000 SF of street level retail wrap around a 5 level parking deck. Portions of two historic warehouses on Clay Street were preserved in a separate, five-story adaptive reuse building, housing 23 units and 5,000 SF of amenity space. The buildings are connected via a pedestrian bridge across Billy Goat Strut. Clean lines, warm brick and cast stone on the exterior reflect the historic, industrial character of the NuLu district. The retail storefronts, stooped entries and thoughtful streetscape design maximize walkability and pedestrian connectivity. Amenities include a 9,950 SF pool courtyard, expansive clubroom, fitness center and yoga room.